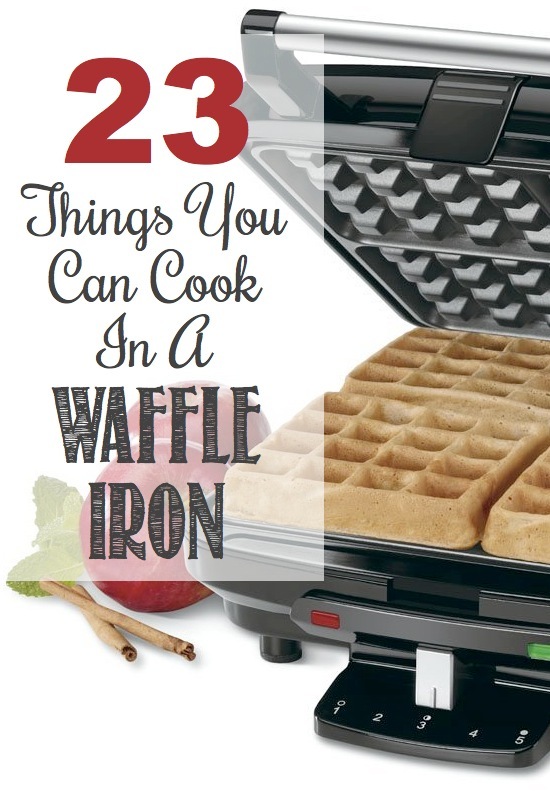 Bacon cooked to a crisp in the waffle iron! 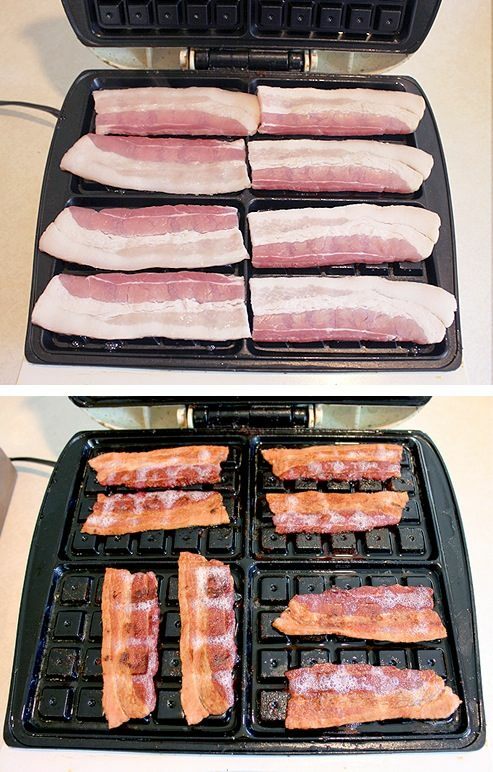 It sounds like this might actually work (that bacon looks good! ), but I’m a little concerned about how hard it would be to clean. Bacon grease in all of those little crannies could be a pain to get out. And, what better to go with bacon than scrambled eggs? I’ve done this many times and it works like a charm. However, I like to do it a little more omelette style by adding chopped peppers and ham. Bacon bits, onion, or any other breakfast goodies would be good, too. 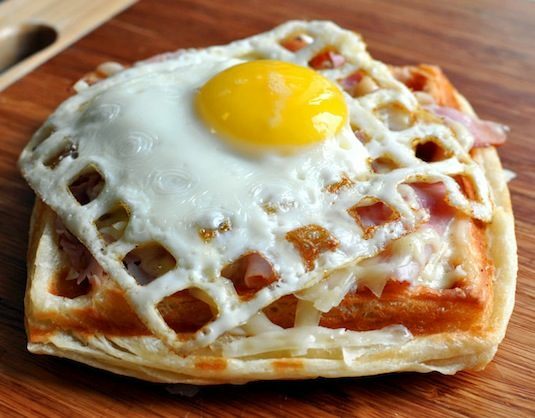 Even better, how about a waffled fried egg breakfast sandwich? 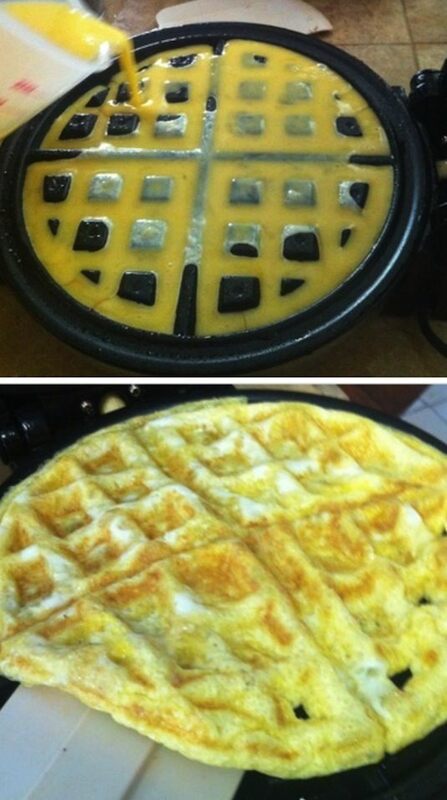 Croissant dough can be used in the iron the same way you would cook a waffle, with the egg cooked afterwards without closing the lid to get it sunny side up style.